Jonty Jenner in action for Narre South this season. From the moment Jonty Jenner was announced as the Channel Islands Sports Personality of the Year in 2015, the young cricketer was always destined for big things. The now 21-year-old from Jersey (the largest of the English Channel Islands) is currently enjoying the opportunity to play cricket at Narre South in the Dandenong District Cricket Association, and has packed plenty into an already exciting career that has had him bumping shoulders with some of the finest names in world cricket. Jenner, who is based in in London, right opposite the famous Lords ground, said that the opportunity to play in Australia is like a dream in a way, and one he will walk away with knowing he gave it his all. “Growing up, I’ve played a lot of cricket, and I always knew I wanted to come to Australia to play cricket,”he said. 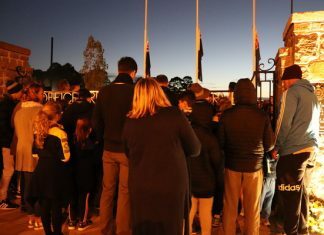 Jenner’s link to the club came via his good mate Joe Thomas, who spoke glowingly of the club, but said he was initially was going to end up in another suburban Melbourne competition. “It was a bit strange – I moved club sides last year in England to a club called Datchet, and they’ve have had a guy come out from there called Joe Thomas for the last few years, and he’s been telling me to come out because there’s an opportunity out here (at Narre South),” he said. Jenner feels tremendous pride of playing for Jersey – an associate member of the ICC – where he is one of the nation’s most prized assets as a batsman – when not playing club cricket, and that feeling will never leave him despite moving from his home to England to chase his cricket dream at 16. “It’s a really small island – the capacity of the MCG is close to 100,000, and the whole of Jersey could probably fit into this stadium, so it kind of shows you just how small it is,” he said. “But in saying that, it means that the friendships and bonds I’ve grown up playing with are really strong, and special, and at the moment, we’ve got a few guys going off the island to further their cricket. At just 17 years of age, Jenner scored 210 runs in the ICC Twenty20 World Qualifier, finishing fourth on the runs table in what was a phenomenal effort, and was duly recognised as being one of the finest talents of Jersey with that coveted sports award which he so fondly reflects on. “Every year they’ve got the award – so last time we played in the Twenty20 qualifiers, I was 17 and did fairly well at the time in the group stage, so it was nice to get that recognition and win the main award,” he said. “It does make you stop and think about what happened – it’s one of those moments in your life when you do think about what you can achieve. “It’s nice from people on the outside to recognise what you’ve done. I’ve had to make a few decisions, like when I was 16 to move away from Jersey, and it’s difficult not being around family and home, but it’s nice to still get that support from home. Jenner – who is also part of the MCC Young Cricketers based at Lords – also has a First Class cap to his name, scoring 68 for Sussex in a match back in 2017 against the touring South African side. All it’s done is fuel the fire to add to that match. “It was a few years ago, and it was fantastic – the Sussex first team had a heavy schedule, so a lot of guys playing second XI got a go, but it was nice to test your skills, there was a few guys in that team that have gone on to play Test cricket with South Africa,” he said. “So to score some runs, and batting with one of the guys I grew up with, a guy called Delray Rawlins was really nice, and just to have that opportunity to play a First Class game is something I’ll always have. “I’ve got my Sussex cap number, the tie and it was fantastic few days. “But you get that taste for it and want more – my journey probably hasn’t been as smooth as I wanted it to be, and I’ve missed a lot of the season last year with a hamstring injury. Adding to that, Jenner also got the chance to step onto the field at Lords in 2017, in a moment he savours, despite a little bit of controversy. It’s an opportunity, at just the age of 19, that doesn’t happy everyday. “I was lucky enough to get offered the opportunity to be 12th man for England against South Africa; I think it was the second Test match of the summer,” he said. “I managed to get out there on the second day and did a bit of fielding, it was amazing – mum and dad came over for it, but originally not being from England, the repercussions were interesting with the ICC. So what’s next for Jersey cricket? “We only play white ball cricket, so it’s a cycle to qualify for the World Cup – they’ve restructured the leagues, so we’ll end up playing List A games, so we’ll have international stats behind us, and basically we’ll go in a big group in a big league over two years, and the top three or four will get a chance at the World Cup,” he said. “We’ll play some nations like Kenya, and I think maybe Zimbabwe and Sri Lanka, so that’s exciting – the main focus when I go back to the UK is, we’ve got a European Qualifier, and the top team out of six will play in the first qualifying round in the Twenty20 World Cup. 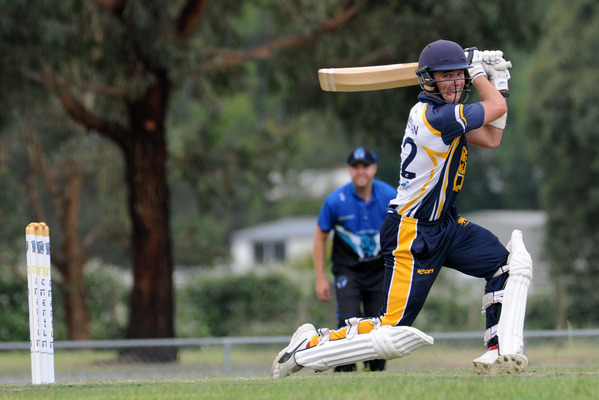 But right now, the focus of the young man is to win a premiership in the DDCA for Narre South, who currently sit on top of the Turf 2 ladder, with Jenner contributing over 500 runs and three centuries, plus a sparkling ton for the DDCA Under 21 rep side just over a week ago. His most recent knock – an incredible 161 (13 fours and seven sixes) – was another true indicator of his remarkable talents in finding the rope and putting bowling attacks to the sword. But for him personally, it’s been a great challenge in adapting to different conditions around the world, as he looks to improve his game in all formats. “It’s been different, the facilities are different to back home, not better or worse, just different,” he said. “I’ve had to adapt to playing out here, and it’s been great – just to play cricket is better than being at the nets. “I’m more of a white-ball cricketer, and I’ve got a couple of hundreds against the white-ball and a couple with the red-ball. With finals just around the corner, Jenner said the Lions are ready to climb into Turf 1, and was full of praise for the club’s talent and depth – particular his gun captain-coach Scott Phillips, who he describes as an absolute “superstar”. “At Narre South, it looks like we’ll be in the finals, so hopefully we win a flag,” he said.